The newly formed WPT PE team hosted trials at Brinsworth Whitehill school on Friday 16th November inviting 6 students from Y5/6 from each of the 8 primary schools within the trust to attend. The children were selected based on their performance and attitude towards their football block of work in PE lessons and their performance in the local competitions hosted by the local School Games Organisers. The standard was extremely high at the trials and the PE team had the difficult task of narrowing it down to 16 to progress onto the masterclass and into the WPT U11 Football Academy. Fast forward to Monday 10th December, where the lucky 16 children attended a coaching session at WSSC with Colin Walker (ex professional footballer and current head of coaching at Grimbsy Town FC) looking at technique when passing, receiving and moving with the ball; this is a typical session by coaches in professional clubs for U11’s and Colin was extremely impressed by the level of talent on show and how quickly the children adapted to the drills. The children were then split into two teams to finish off with a game played at a high tempo with the children showcasing their talents and trying to put into practice the technique they’d been working on earlier in the session. 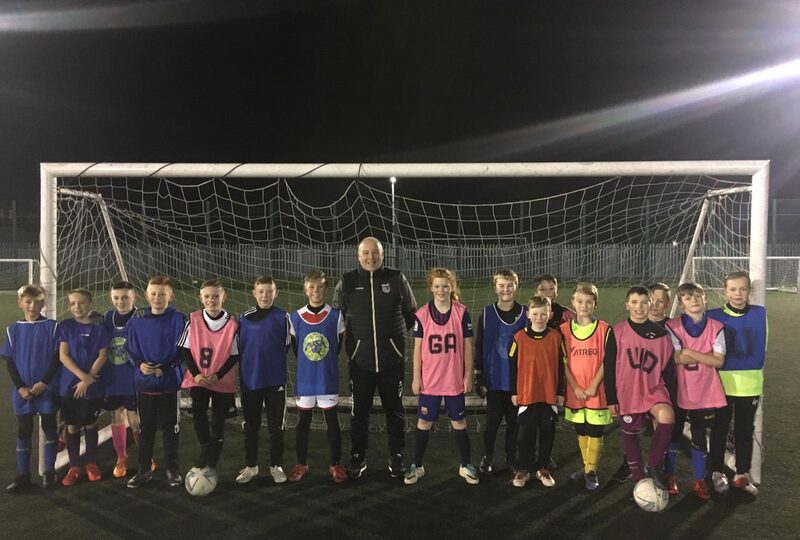 The WPT U11 Football Academy will be looking to play a number of professional teams in the new year with training sessions to be organised before each fixture – well done to all involved and we look forward to updating you on our progress in 2019!